Our consumers are the heart of what we do here at NWGA Center for Independent Living. These quotes and stories come from them, and are our true measures of success. My daughter Heather Davis is 37 years old and has Spina Bifida. She is paralyzed from the waist down and is in a wheelchair. The home we live in was not wheelchair accessible and due to her size and my age it has become unsafe to try to get her out of the house for appointments and in the event of an emergency. I contacted NWGACIL to see if there was any assistance available. In a very short period of time they came to my aid and funded the materials to build a wheelchair ramp. Their help has been deeply appreciated. Their compassion and assistance has enabled me to provide a safe home for my daughter and let her be able to be more independent. JK is a 64 year old gentleman who lives in Floyd County. He has had a stroke, and his family asked for assistance from us in getting a ramp built for his home. He did not want to go into a nursing facility. In our providing materials for the ramp, we also helped JK’s mother as well. 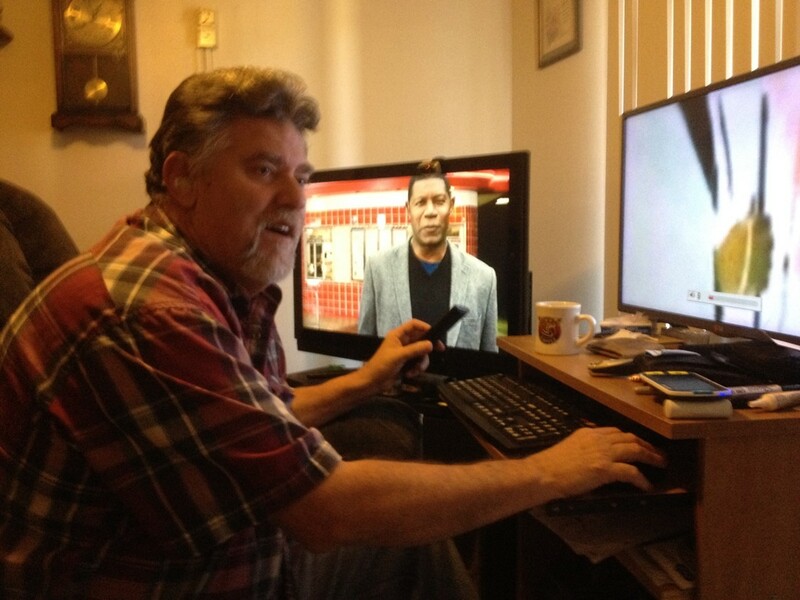 “I moved … back in February of 2015. I had no way of getting in and out in my Jazzy chair. Only the hope that I could get help in building a ramp. 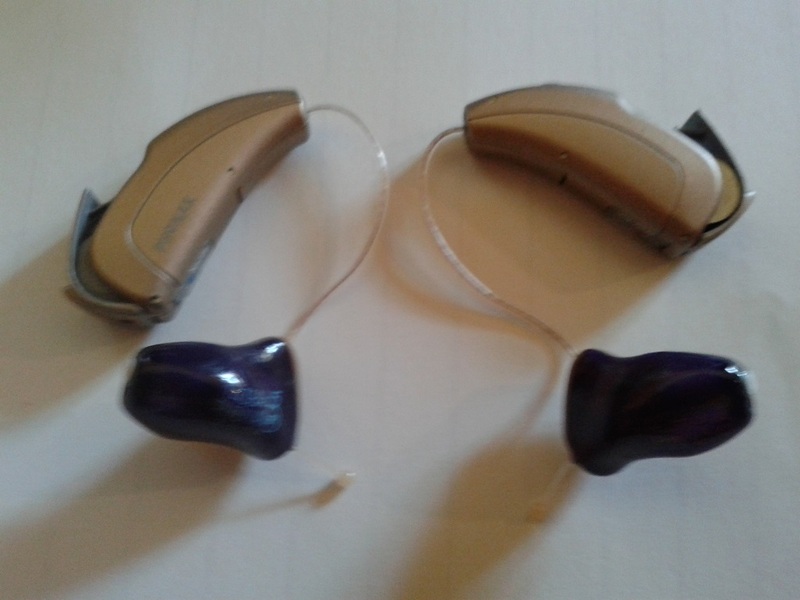 A group called Northwest Georgia Center for Independent Living was referred to me. I applied for help with them. And thank God my prayers were answered. They donated the funds [for materials] to build me a ramp. Now I can get in and out. RH is an elderly man living in the Whitfield County area who has a disability of arthritis. Before NWGA CIL assisted him, he was at risk of going into a nursing facility. 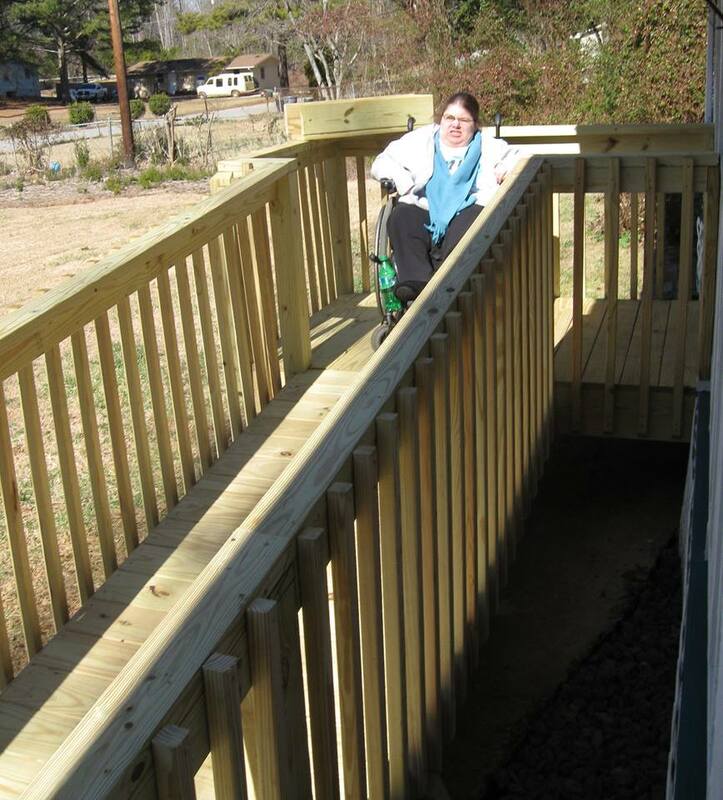 His family contacted NWGA CIL to ask for assistance with materials to build a ramp, and his family constructed it. The ramp is now up and working well for him. Consumer H.D. 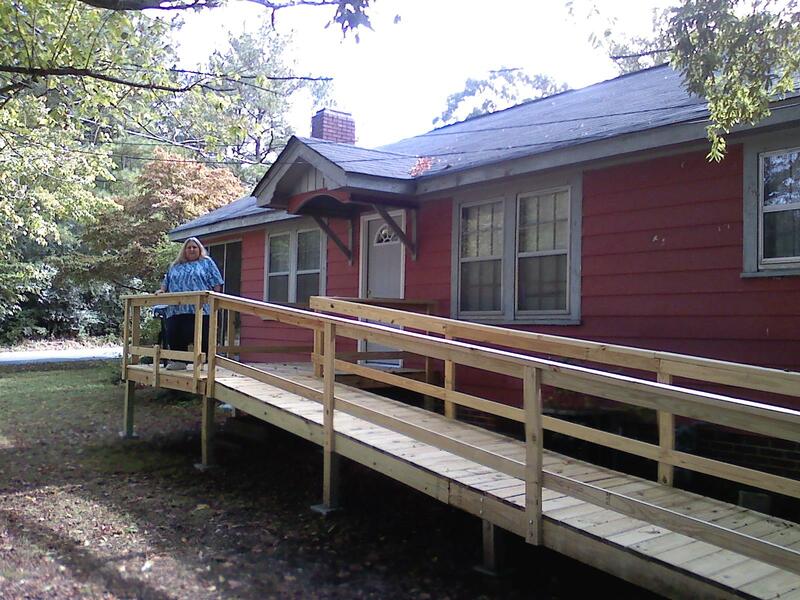 achieved her independent living goal of getting a new wheelchair ramp for her home! NWGA CIL partnered with the family for assistance. The addition of a ramp to a home is a key component in maintaining mobility and independence for individuals who use wheelchairs. This can sometimes be a daunting task, however we are able to assist many in achieving these goals. We are very happy to see H.D. using her wheelchair ramp to go in and out of her home! Very helpful and appreciated everything…Staff helped me to recognize that I needed help and what kind of help I needed…Made it possible for my husband to get in and out of shower easily… NWGA CIL is doing a great service for the disabled and very well appreciated… I have a lot of respect for them…Terrific people…Appreciate what they did for me…If I need anything I can call. Also to feel more secure knowing they are there…To come and go the freedom to get in and out of the house…Accessibility to home…Get the help I needed…Made possible to get in and out of shower…Helped me to get ramp…Helped with equipment I needed…To be independent…To sit up, move around, drive car, and sit up and eat in my chair…Helped with shower chair…Made me feel better about myself…Ramp…Get a chair…Find employment…Helped me to do for myself…To be able to get out of house. *Disclaimer: Photos, quotes and stories seen here have been published with written permission of the individual.